We are excited to bring to you a big version update of Numerics. Version 4.3 introduces a bunch of shiny new integrations, new widget background colors, new watch app complication support, improved service integrations and improvement to the watch app performance. Read on to get more details about the v4.3 update. Google BigQuery - Users can now visualize KPIs and gain insights from their massively large datasets hosted with Google BigQuery in Numerics dashboards. The integration enables 9 unique types of widgets including label, number, number with difference, line graph, named line graph, pie chart, funnel list, hour and day density charts. Once you’ve connected your BigQuery account in Numerics, you can create a query to pull the numbers you want to track into your Numerics Dashboard. 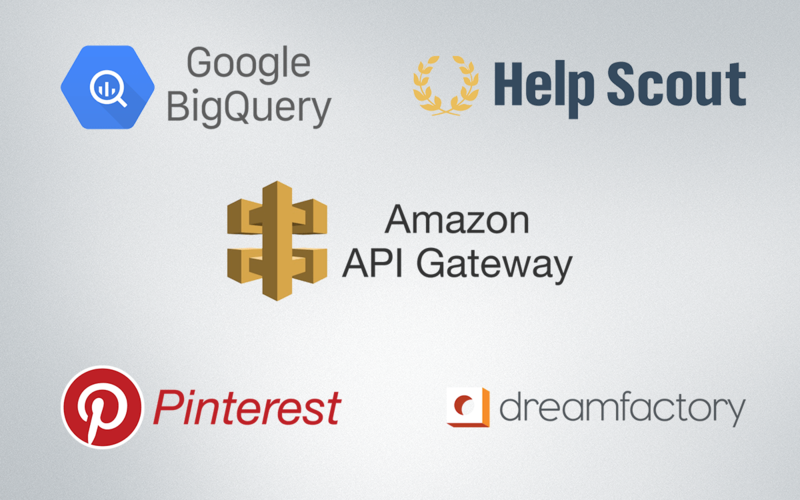 Amazon API Gateway - Users hosting their business software on Amazon AWS can now use the Amazon API Gateway to create an API for their custom software and connect it with Numerics to track their metrics. Numerics can connect to any compatible custom JSON via the Amazon API gateway protected with API Key based authentication. Similar to the Custom JSON integration in Numerics, the Amazon API gateway widgets require you to enter a JSON URL accessible by Numerics. The JSON data must be formatted as per the Numerics Widget Data Specification. We have published examples for each widget type here. The examples are also available within the app in the “Get Help” section for each widget. DreamFactory - Dream Factory is a system that turns any database into an API platform, allowing users to connect any of their SQL / NoSQL databases to Numerics and visualize their most important numbers. Once you’ve hooked up any SQL or NoSQL database with DreamFactory, it instantly creates a comprehensive REST API platform. With the API in place, you simply have to connect Numerics to your DreamFactory account and provide the fields for the widgets in Numerics. For all our users who’d love to bring in their KPIs from SQL / NoSQL databases, we think DreamFactory can help bridge the gap. Similar to the other Google Analytics widget packs, these too are available for everyone who has bought the app, i.e. NO in-app purchases for GA widget packs! HelpScout - a popular customer help desk software. You can now track the performance of your support staff and their customer’s satisfaction ratings. The integration comes with 10 widget packs that let you track Personal stats, User stats, Team stats, Productivity stats, Conversation stats and Happiness stats. Pinterest - Pinterest users can track their board stats, pin stats and more with Numerics 4.3. Along with these new integrations, we’ve also improved our integration with Stripe. v4.3 adds some much requested for Stripe widgets; these include - Charges, New Customers, Account Balance & Transfer amounts. 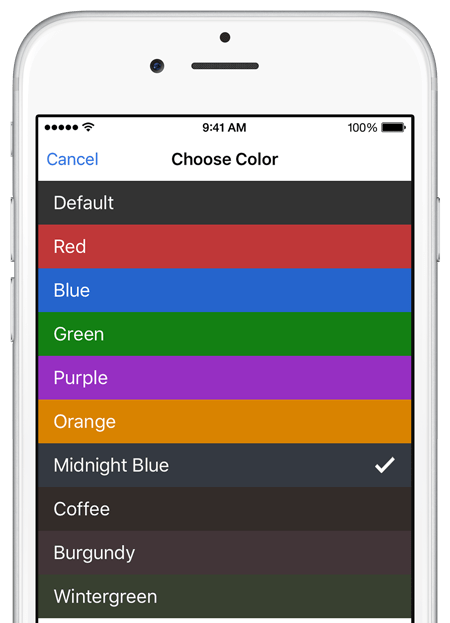 We’ve been hard at work to improve the performance of the Numerics app on the Apple Watch and are happy that the new version bundles in some major improvements. The Complications, Glance and the watch app now refresh data more often and the widgets are almost always up to date. Go ahead and add your most sort after KPI on your watch and always be in the know. Numerics v4.3 introduces support for a new watch app Complication - Utilitarian Small. Numerics now supports Modular Large, Utilitarian Small and Large and Mickey Mouse watch faces. The widget background colors have been improved to suit the watch screen, now much brighter and crisper. Highlighting KPIs with background colors in Numerics not only makes our dashboards look Wow, but they also help us focus on the numbers that matter the most. In v4.3, we are adding a new set of darker background colors enabling you have subtler differentiation between your widgets on the dashboard. A long standing issue with the Google API has now been resolved. All Google widgets will now work more reliably and will refresh more often. We’ve also done various improvements and bug fixes with v4.3. GitHub has introduced new permission scopes for their API, Numerics now uses the read-only OAuth scope with their API. Users will be required to re-add the GitHub account to allow Numerics access to your numbers. There was a bug caused by number format difference across locales for some widgets, this has been fixed. Head over to the App Store to get a full list of What’s New and download your update. We’d also like to take this opportunity to thank all our beta testers who helped with testing the new features and integrations. If you’d like to be a member of the Numerics beta program, drop us a line and we’ll send you an invite when we’re ready. We hope you enjoy the new version. If you have any suggestions, feature requests or just want to say hello, please drop us a message here. Or tweet at us, we love hearing from our users.